May tour (1): Sunday 5 May 2019, 11am. Meet: St Ann’s Church, 11am. May tour (2): Bank Holiday Monday, 27 May 2019, 2.30pm. Meet: Emmeline Pankhurst statue, St Peter’s Square. June tour: Tue 25 June, 11.30am. What had been a sedate pressure group, willing to stay within the law to change the law, soon became militant. 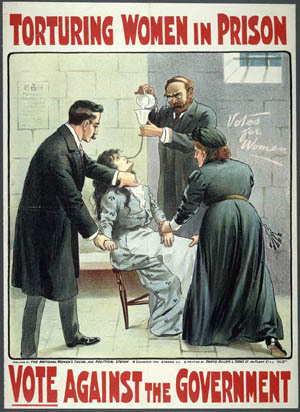 The women suffrage supporters (“suffragettes,” the Daily Mail called them) disrupted a Liberal Party rally in the Free Trade Hall in 1905 and two of their leaders – Christabel Pankhurst and Annie Kenney – were jailed. 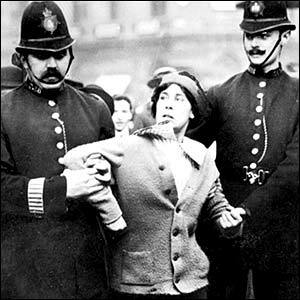 Manchester had become Suffragette City, but it took a generation and many thousands of broken windows for women to secure the vote. This is a walk in memory of the Pankhursts – Emmeline, Christabel and Sylvia – fierce campaigners, resolute radicals. We visit their haunts, outline their struggle and follow in their footsteps.